WELCOME TO AR WORKSHOP Roseville! AR Workshop Roseville is owned by Cecelia and Terrence Manley who discovered AR Workshop on a long camping trip around the United States. After taking a class in North Carolina, Cecelia couldn’t wait to bring AR Workshop back to her community in Roseville! 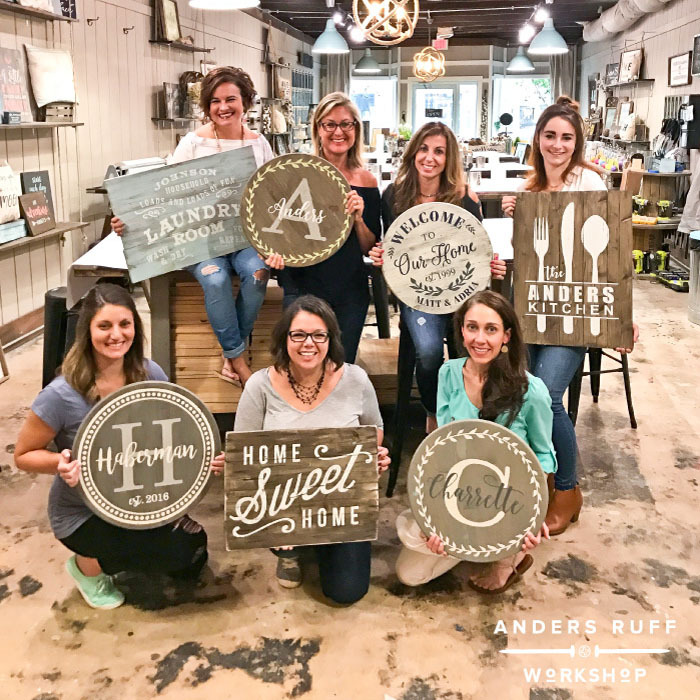 AR Workshop Roseville brings DIY Home Decor to the surrounding Roseville neighborhoods of Rocklin, Granite Bay, Lincoln, Folsom and Sacramento. Cecelia’s background is in Interior Design and Service Management. Cecelia earned a B.S. in Interior Design from The Art Institute and truly has a passion for design and creativity. Cecelia’s eye for design and experience as a Division Manager makes AR Workshop a perfect fit. Cecelia hopes to utilize her unique background and passion for creativity to provide workshop attendees with a fun time and high quality project to take home and be proud of! Join us in a workshop soon!! Interested in hosting a private event? Email us for information on event details and minimums . Can’t meet our minimum? 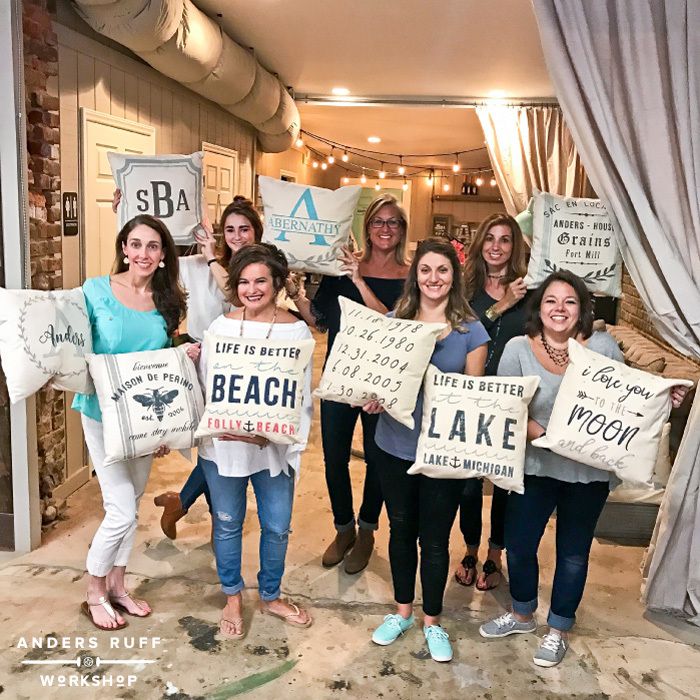 Ask about booking a table for your friends at a regular scheduled workshop or just register for any workshop and include your friends names so we can seat you together! 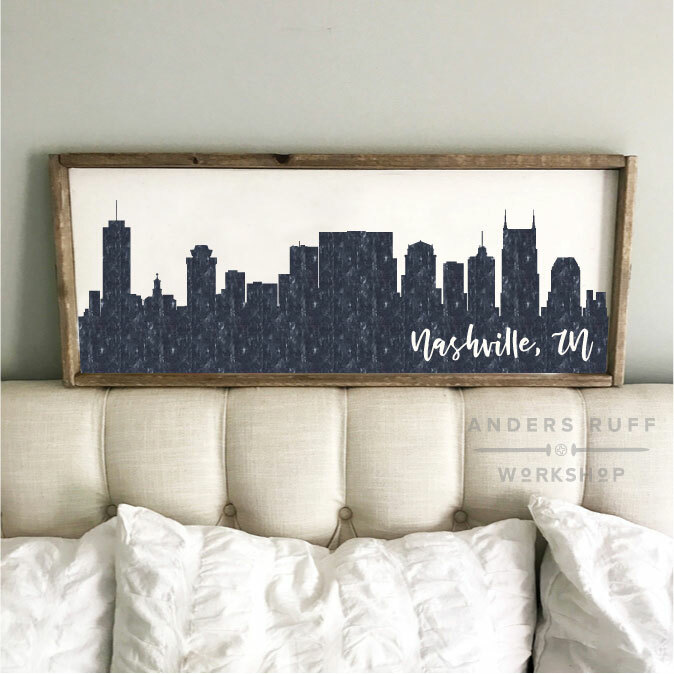 Most adult projects range from $45-$70. Contact us for specific pricing. You may bring in small snacks or appetizers to enjoy. We have beer and wine for purchase at our bar. Due to the fact that we have our beer and wine license, we can only allow patrons 21 and over.